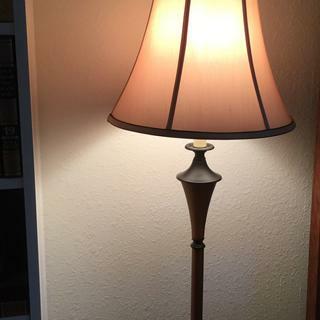 This handsome lamp shade shade features dark brown trim on tan fabric. 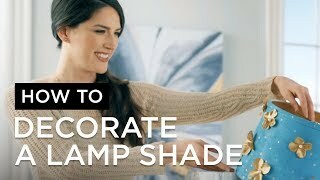 This warm tone bell shade will give an out-of-date lamp a chic, new look. Tan fabric with complementary brown trim on the top and bottom. A quick and easy way to update your decor. 6" across the top x 12" across the bottom x 9" on the slant x 8 1/2" high overall. Tan fabric bell shade with thin brown trim top and bottom, and vertical self trim. Tan fabric lining inside with a polished brass spider fitter. The style, but mostly it is made from fabric which makes it look richer in the room. It's the closest that I could find to an existing shade. 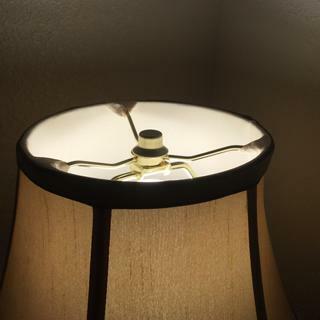 I am making a table lamp using a fishing rod and reel as the theme. This shade should be perfect for the finished project. A perfect match to my living room lamp shades! The product was as shown and of good quality. The order was placed by telephone, and the operator was very helpful. 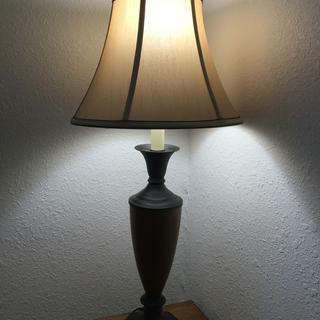 Used as a replacement shade for an adjustable bridge lamp. 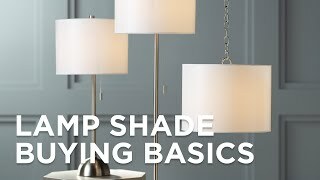 I used the LampsPlus guide for determining the proper size shade. The shade fits perfectly. Beautiful, high quality, perfect fit! I am very pleased with this lamp shade for my decor. The tannish color is very rich looking . The texture of the material is very chic.. It can be put with any earth tone decor or my navy bedroom. I love this shade as it had coordinating sizes. I had trouble finding the right color after my shades were broken in a move. They are very well made and came packaged perfectly.